This magnificent 14K gold chai pendant is stylish and fun. Blue enamel with a twirl design decorates the pendant. A Star of David is engraved in front of the loop. 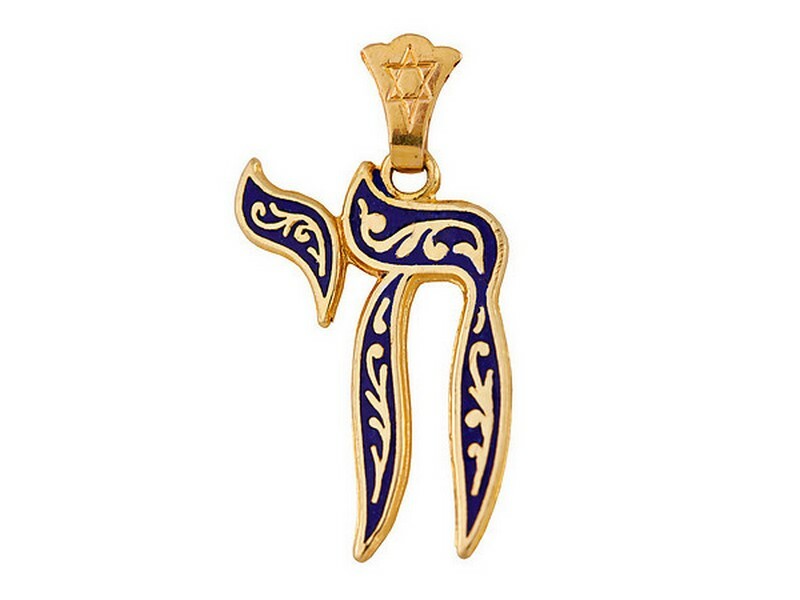 Traditional and regal, this pendant will make a wonderful gift for a bar/bat mitzvah, birthday or any other special occasion. Pendant is available in both yellow and white gold. Necklace chains are sold separately. To view our extensive collection of necklace chains, click here.